Everyone can use some extra accountability! If there is an area you need to work on in your life, having a coach is invaluable. My coach, Jenai Lane, of Spirit Coach Training has truly changed my life. I wanted to create a page of coaches I'm connected with and highlight their strengths. Disclaimer: I have not been coached by any of these folks (except Jenai and Christina), but have at least had a conversation with each of them to make sure our messages are aligned. I do NOT have an affiliate relationship with any of them. That means if you decide to coach with them, I don't receive any money. I want this website to be a place I can collect resources for my readers. I find coaching so important in my life that I want to highlight people I think are worth looking into if you need some additional support :) Happy Connecting! Jenai has coached Mike and I both since 2009 and I can attest: Jenai has a gift of seeing and awakening the Divine in you. This includes your purpose, gifts and the contribution you are here to make in this incarnation. She will help you clear the blocks that cloud your true essence as spirit and support you in accessing your own truth that will lead you home to your Self. Through a combination of intuitive readings, practical non-dogmatic tools and healing energy, the spirit within you begins to shine brighter and brighter. There is nothing more valuable than this. I haven't worked one-on-one with Christina, but I did take her 4 week course called Stepping into Your Light. I really enjoyed the process and there was a private Facebook group that offered additional support and encouragement as a group worked thorough the exercises at their own pace. If you've lost yourself a little in the day to day of motherhood, I'd highly reccomend this course. Joy is a full-time working wife and mom of 2, a 9 year old daughter and 4 year old son. She loves helping fellow moms who need support in navigating and strengthening their relationship with their children. Her background is in Psychotherapy specializing in the treatment of depression and anxiety in all ages. Joy believes that moms who have a vision for raising self-motivated, emotionally healthy and resilient children deserve to have all the resources they can get. For this is not an easy feat. We need not to be second guessing ourselves. Let nothing stop us and everything to empower us.To receive Joy's FREE guide to affirming your children CLICK HERE. Lindsey Andrews is a writer, speaker and divorce attorney whose personal journey through grief allowed her to find her voice and her tribe. She coaches writers on social media and creates courses to enhance everyday life. She retweets too much on Twitter and fights to find daily joy on Instagram. Jennifer’s years of clinical experience as a social worker and her own personal journey gives her the unique ability to guide individuals on their path to health and wellness. You can also learn more about Jennifer, the services she offers and purchase her books on her website. Nicole Burgess is a LMFT and Woman Empowerment Coach. She helps mothers step more fully into their authentic wisdom, confidence and power and break free from the myth of a perfect mother. She has counseled and coached parents for over a decade and continues to support parents around the world to live a courageously wholehearted life. Karen Delano is a Simplicity Parenting Family Life Coach. She's been a preschool teacher, run her own in-home play school and now she helps moms reduce their kid’s challenging behaviors, build connection in their family and deal with the stress that keeps them from acting and feeling like the mom they want to be. Check out Karen's FREE Audio Class all about improving your mornings. You can also find Karen on her website or on Facebook. Angie is a Certified Life Purpose and Empowerment coach for Expectant and New(ish) Mamas. 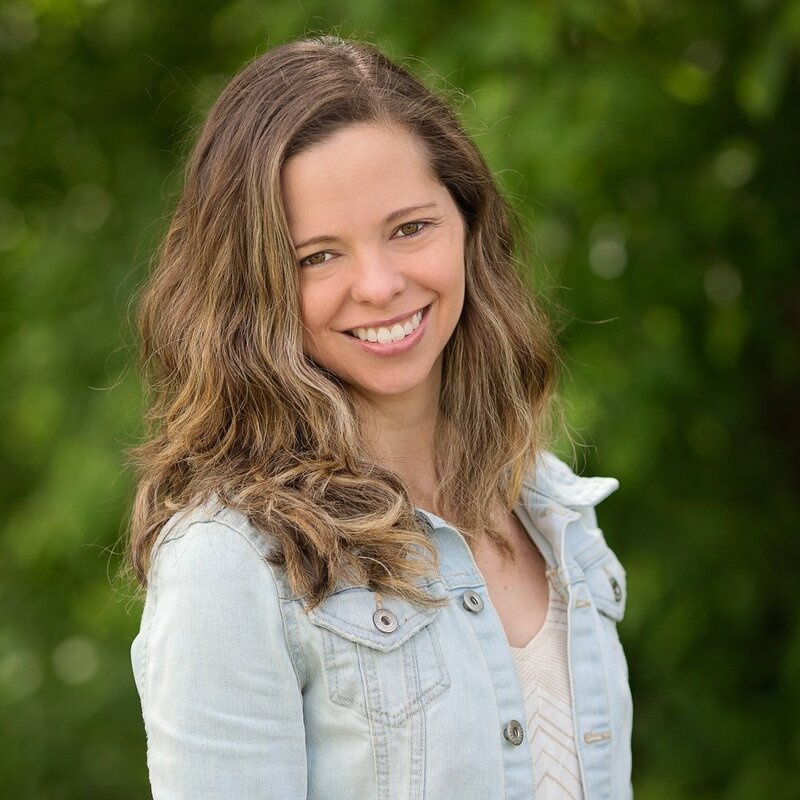 Her coaching is focused around JOY and her primary goal is to partner with you on a journey to let go of comparisonitis and fear of failure, while you also rediscover and reconnect with your true self. Through your time together you will find your way back to YOU, as a Woman and Mom and start living your life more confidently and JOYFULLY! To connect with Angie, check out her Website, Facebook Page, Facebook Group or Instagram. Stacey Ogden is the founder and CEO of the Busy Mom Collective. Her mission is to help moms regain their sense of self, find and a follow their passions, and become better, more fulfilled, happier moms. Women who work with Stacey discover the roadblocks (internal and external) that are preventing them from living their best lives, and how to avoid them... or perhaps knock them down completely. One-on-one or in small groups, moms learn the beauty of saying "no", how to find time they didn't know they had, and how to get back to being their own person (not just Mom) without the guilt! Stacey is also the host of The Busy Mom Collective Podcast. Casey O’Roarty, Med, is a coach and facilitator of personal growth and development. Her work encourages parents to discover the purpose of their journey, while also providing them with tools and a shift of mindset that allows them to deepen their relationships with themselves and their families. As a Certified Positive Discipline Trainer since 2007, Casey has a unique background for supporting parents in their current trials and challenges. She works with parents of kids five and up and offers online classes and individual coaching at www.joyfulcourage.com. Casey lives in the Pacific Northwest with greatest teachers – her husband, and adolescent kids. Julia Pappas is a Psychologist, a Parent Coach, and a Nationally Certified School Psychologist. She has over 15 years of experience working with parents and their children, and has particular expertise in child development, behavioral regulation, and learning needs. Julia believes in the power of parents to change the world by being the best resource, inspiration, and support they can be to their children. She empowers parents to own their mission, discover limiting beliefs, parenting blocks, and helps develop essential skills so that parents can have the most fulfilling years of their lives while raising their children. Julia also hosts the Minimum Viable Parenting Podcast. She can be found on Twitter, Instagram, Facebook and Pinterest. As a Life Coach my goal is to help others attain something they have not before. My work focuses on helping my clients achieve their life goals and work on making their dreams their reality. Many of us have ideas, projects, and other things that we want to do, often we are too worried, too concerned, or too scared about pursuing them. So whether it is a new career, a new business, a family goal, or something you have been wanting to start, my job is to help you breakthrough and make it happen. My background as psychotherapist provides me with wide-range of experience and variety of approaches that I utilize with my clients. I incorporate a creative and a holistic process in my work. You can find me on my website or on Facebook. Bri, also known as the Hippie Dippie Mom, is a Certified Health Coach and Registered Nurse. She is passionate about helping Moms live a clean lifestyle and improve their family’s health by eliminating common toxins in the personal environment. You can find Bri on her Website, Facebook, Instagram and Pinterest. Amanda is a Children's Mental Health Therapist turned Stay-At-Home Mom. Since becoming a Mom she felt the same doubt, uncertainty, and guilt that every parent feels. She thought her education and experience prepared her for motherhood, but she had no idea! This motherhood thing is harder than anyone could ever imagine, but she's here to help you feel confident in your parenting, build awesome relationships with your kids, and to stay calm among the chaos of raising children. Founder of TheParentingJunkie.com, Avital's mission is to help parents and caregivers who struggle with chaos, clutter and conflict to transform their experience with young children into one of presence, play and peace. Trained in the Simplicity Parenting and Hand-in-Hand parenting disciplines, her work has been published in Huff Post, Motherly and is endorsed by the leaders in the Parenting space, Dr. Shefali Tsabary and Dr. Laura Markham. Avital has a global and thriving community of tens of thousands of individuals through her courses, coaching and blog. Mary lives in Parker, CO with her husband and three children. Her passion for the special needs community began when her son was diagnosed with Sensory Processing Disorder in 1999 and then ADHD in 3rd grade. To understand how to serve her son, she became a Certified Health Coach and now specializes in walking alongside families of children with special needs in her business Tree of Life Health Coaching. She loves to serve in a local respite care program to allow parents to unplug, take a break and reconnect. It’s such a blessing to be able to serve these families.